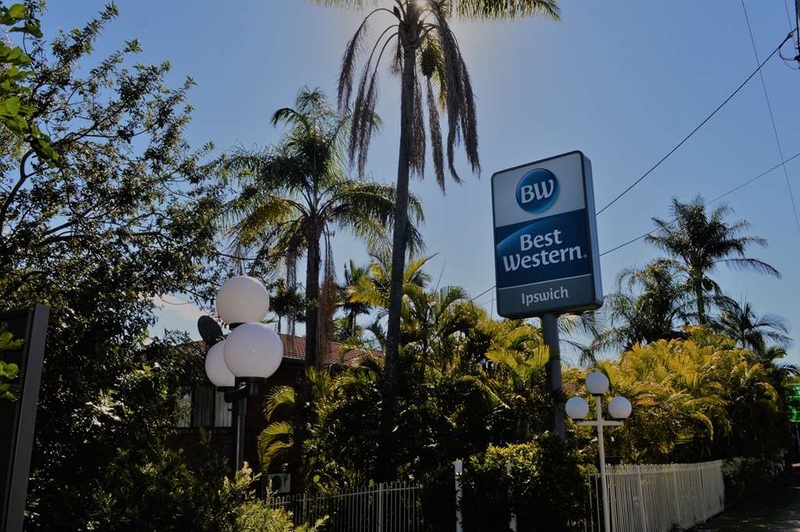 El Best Western Ipswich se encuentra en el centro de Ipswich. Venga y disfrute de las mejores atracciónes turísticas cerca de nuestro hotel. Precios bajos garantizados y ofertas exclusivas. Alójese en este céntrico hotel de Ipswich situado a poca distancia de los hospitales, los recintos feriales, la Universidad de Queensland Ipswich y el centro de la ciudad, además de encontrarse a 15 minutos en auto del circuito Willowbank y la Base Aérea de Amberley. El Best Western® Ipswich es un lujoso hotel de Ipswich y es el único con acreditación de 4 estrellas de la AAA en la ciudad. Entre los servicios e instalaciones del hotel se incluyen una zona de barbacoa, una piscina y un restaurante ubicado en unos apacibles jardines. Escoja entre habitaciones ejecutivas, apartamentos independientes familiares con uno o dos dormitorios o bungalós independientes de tres dormitorios. Todas las suites son lujosas, grandes y espaciosas. Este hotel de Ipswich ofrece acceso a Internet de alta velocidad inalámbrico, aire acondicionado de ciclo inverso y televisión por cable con canales Foxtel. Si desea disfrutar de un magnífico servicio de atención al cliente y de una estratégica ubicación en Ipswich, haga su reserva en el Best Western® Ipswich hoy mismo y ahorre. Disfrute de su estancia en nuestro hotel. I visit the Ipswich area 3 times a year & this place has been my go to motel for the past several years. Owners are nice people, always happy to help with any reasonable request. 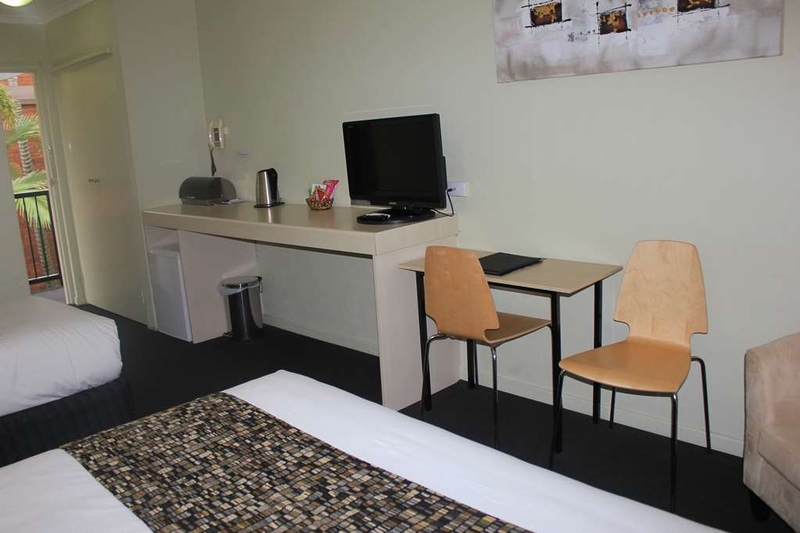 I always find the rooms exactly as described, very clean, tidy & functional. Queen size bed is always comfortable & I enjoy the cooked breakfast in the dining room. 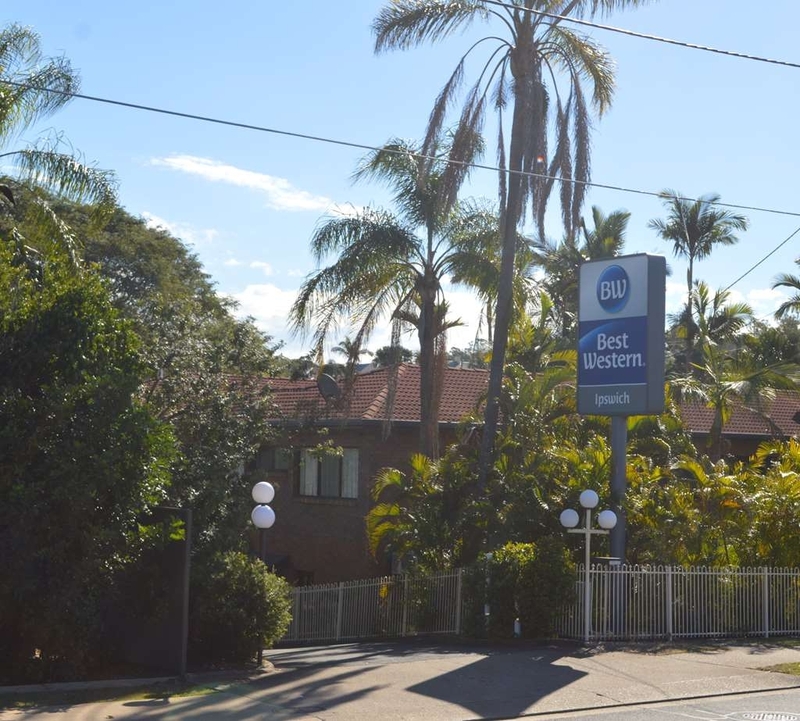 I've tried other accommodation in the area on occasions when this motel is booked out but they usually fall short & I keep returning to the Best Western at the next opportunity. Stayed on a "Gift in a Box" deal which had been given to me as a Birthday present. The deal included dinner on the first night which was good but the atmosphere was soulless as we were the only ones having dinner that night. The staff were very helpful & friendly but I felt this hotel was used mainly for functions at the weekend & not a great favourite for independent diners . The hotel was a 15 min drive into Ipswich so not too convenient. The room was of a good size with views over the garden which I would imagine was a lovely spot in the summer. Booked for a family funeral. 3 adults and 8 yr old. 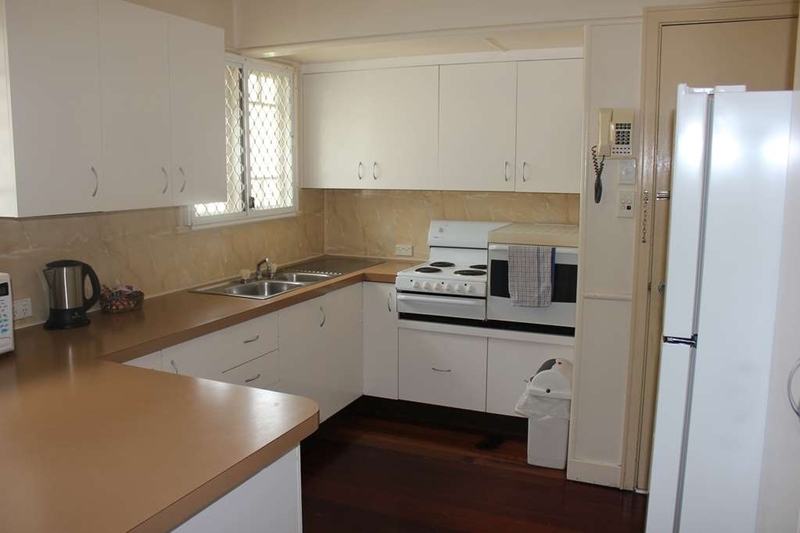 Well set out with fully equipped kitchen. Lounge area and comfy beds. Clean and neat. 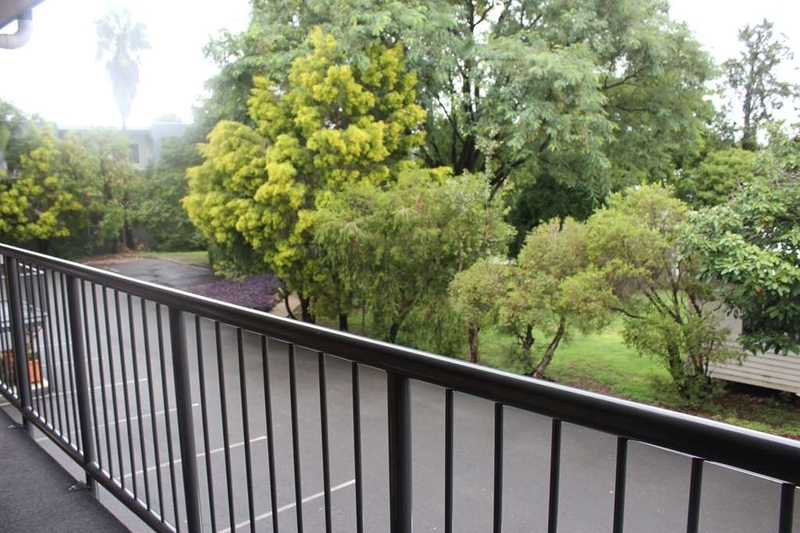 Positioned centrally and easy access with ample parking. Reccomend for a place to stay. Good value. Thanks for your review, Katrina. We visited for a few days. The rooms were clean and of a good size. We had a triple room with a queen bed and a single. The beds were comfortable and clean. The shower was small but amazing. We didnt eat at the restaurant. Free parking is available on site. There is a pool and laundry. Laundry is $10 to wash and dry and $2 for washing powder. there is a bbq area with bbq tools available from the office. Across the road is a small deli that is well priced. It also does fish and chips and Chinese food along with grocery items. Fantastic place to stay when you are away from home for work. 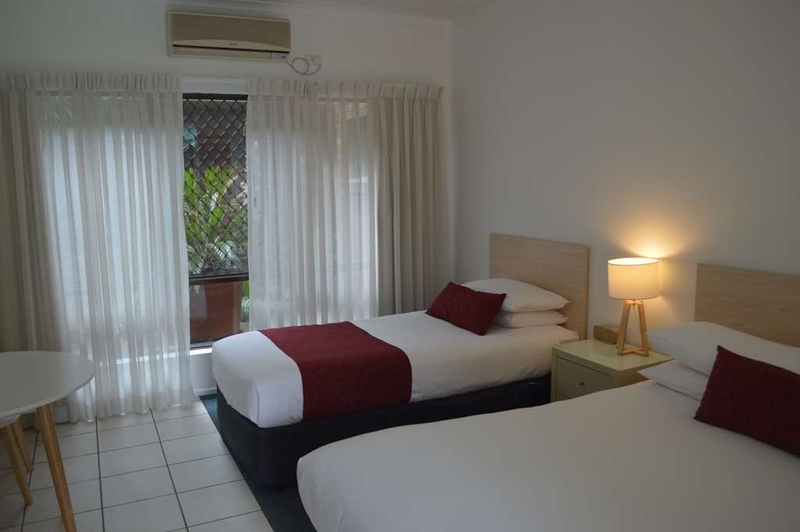 Rooms very, very clean, owners welcoming and friendly, staff were all professional. Will defiantly stay here again. Also, I had the best scrambled eggs for breakfast ??!!! Hi Annie Thanks for your review. We hope to welcome you back to Ipswich very soon. Thank-you for your kind words. It was a pleasure to help your mother. We are all happy that you both enjoyed our accommodations. "Comfortable with a good restaurant"
Thanks for your kind words, Graham. We hope to see you again when you return to Ipswich. "Good place for a family gathering"
The 3 bedroom house worked well, all 7 of us had a comfortable bed. Plenty of room to lounge around inside and out. I was grateful for the good size kitchen and bathrooms for my large crowd and the washing machine was a real plus. Thank-you for your feedback, foajulie1. We hope to see you again soon. It is the people who make this motel so special. Evan and his wife are just so friendly and accommodating. Nothing is too much trouble. We were travelling in an old fashioned car, and Evan made sure we were parked under cover and on the flat. The rooms - although not huge - are clean and comfortable. We also appreciated the onsite restaurant where we enjoyed a delicious evening meal. Many thanks. Thank-you for your kind words, tempsh, and thank-you for staying with us. Great staff who always go out of their way to assist. 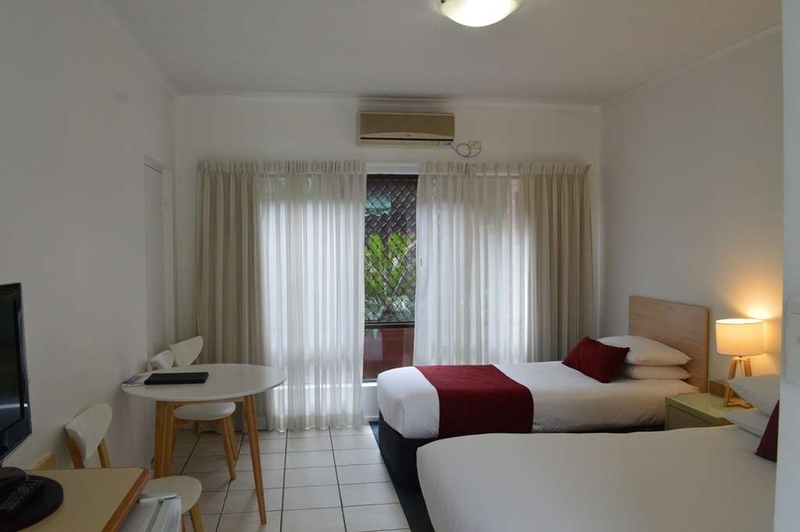 The Motel is close to the City heart and is ideally located for my work commitments. Some rooms are self contained which assist me due to starting and finishing work at odd times occasionally. Keep up the good work. Thanks for the kind comments, Shane. We hope to see you again soon. 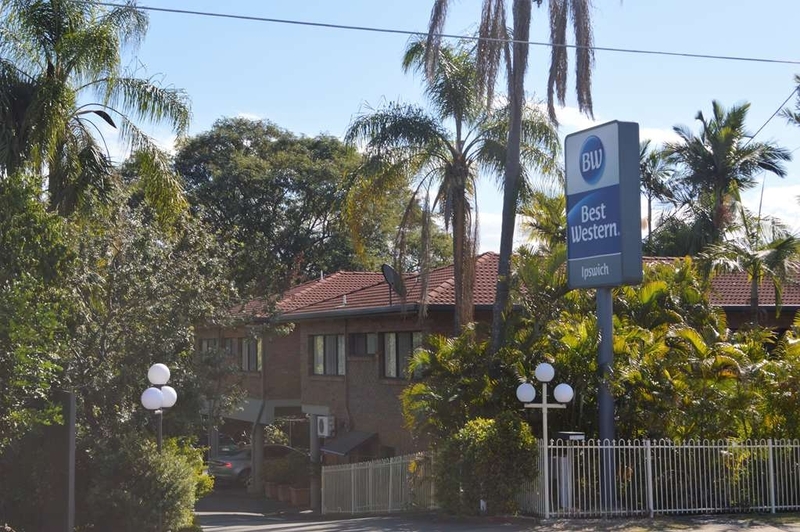 "Very comfortable and great service"
My husband and myself stayed in a motel room and it looked over the pool. The room was tastefully and beautifully decorated and very comfortable. We had breakfast the next morning and it was cooked to perfection. Thank you for your excellent service. Thank-you for your comments, Lynne. We hope to welcome you back to Ipswich soon. 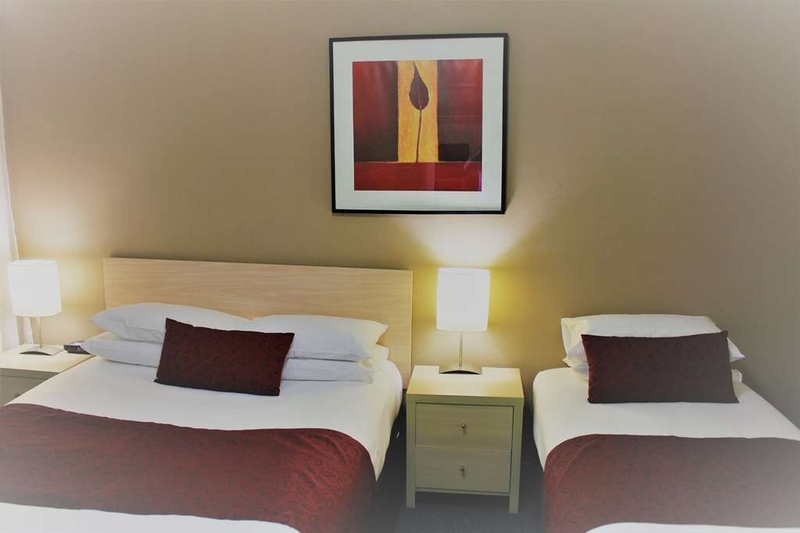 "Everything you need & want in accommodation"
We booked thru an agent for the CMC Rocks festival with no expectations but found a great Hotel with such a clean comfortable room and staff who could not be more accommodating at breakfast for my gluten free daughter. We were very impressed with this hotel and will definitely be staying here next year. Thank-you for your comments, BlackFamily12. We hope you will return next year for another festival, and it will be our great pleasure to welcome you back. We had a lovely stay here for 4 nights. The rooms were clean and we had a great sleep. 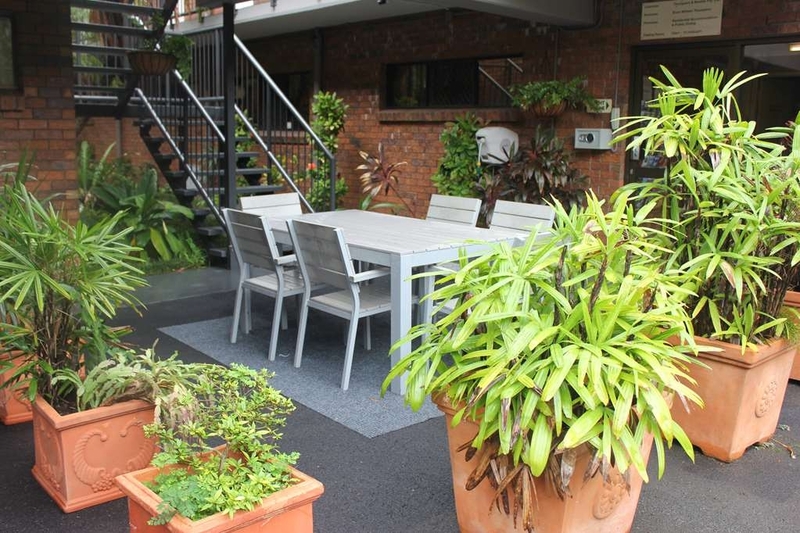 The two story building has a beautiful garden in the center and the place has an outdoor pool (perfect for QLD in summer!) The people were really friendly and I would recommend the cooked breakfast which was a classic bacon and eggs - delicious! Thank-you, Carley, for your review. 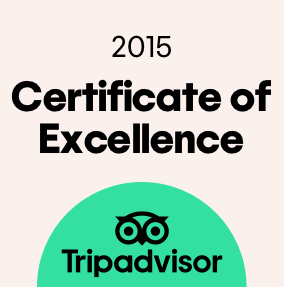 We are really pleased you liked our place, and we hope to welcome you back later in the year. You will be pleased to know that the unsightly cracks in the pool have been repaired and the pool is more inviting than ever before. 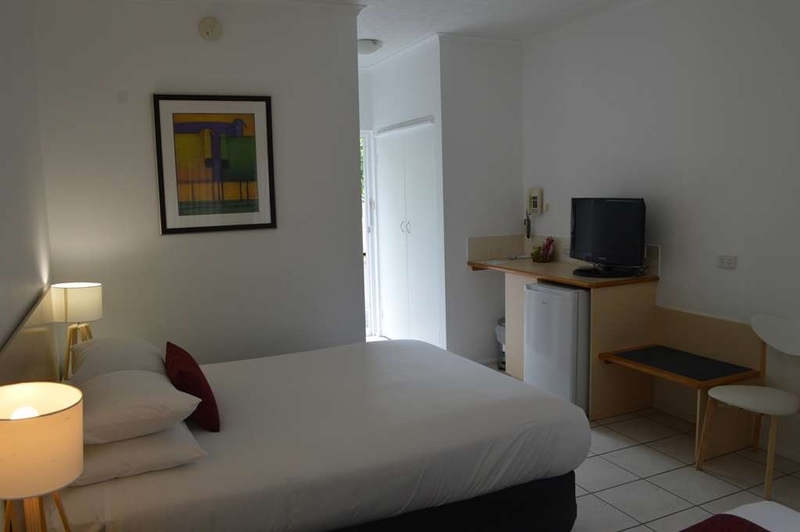 "Great service for my two week business trip"
Stayed in the one bedroom apartment with kitchenette. Close to central Ipswich. The owners were very welcoming and accommodating to some unusual business requests. They dropped off several deliveries of equipment to my room. The self serve laundry facility was very useful. Would definitely choose to stay here again. Thanks for the great review, Tracey. I hope we will see you again soon. Spent a couple of weeks, with six workmates, in one the three bedroom houses. The house was spacious enough for six men, with a decent size kitchen, laundry and two bathrooms. The large outdoor area was also a bonus, for indulging in a few cold ones after a long day. Not to mention the meals and service in the on-site restaurant were superb. Tanks for the kind words, Gibbsy. I'm glad you liked the place. Let's hope we see you and your friends again soon. Stayed here with a friend for the weekend. Nice place, Nice owners. Let us check-in to our room earlier than expected and gave as bowls and cutlery to eat our take-out. Cable and Wi-fi worked well in the room. Thanks for the kind words, Aeryn. We would like to see you again if you come back to Ipswich. 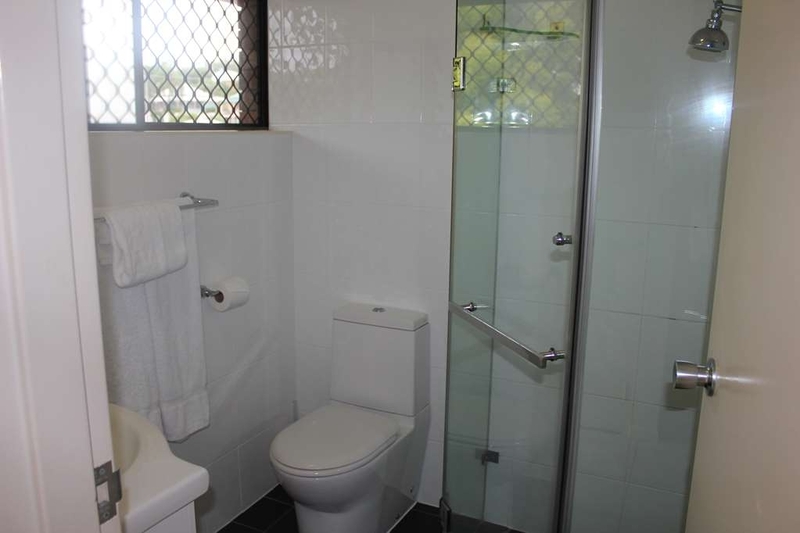 "Great service and convenient to all Ipswich highlights"
Thanks for the great review, Mick. I will be sure to tell Nick and Manuel that you enjoyed your stay. I hope they don't ask for a pay rise LOL. 5 star beds... air conditioning. Great restaurant, excellent breakfast......not too expensive....very friendly hosts. Neat and clean. Hardly any road noise. Pool. Close to shopping centre. Green surroundings. Easy parking. Thanks, Don. We appreciate your kind comments. We all work very hard to keep the standards up, and it's gratifying when people tell us we are on the right track. 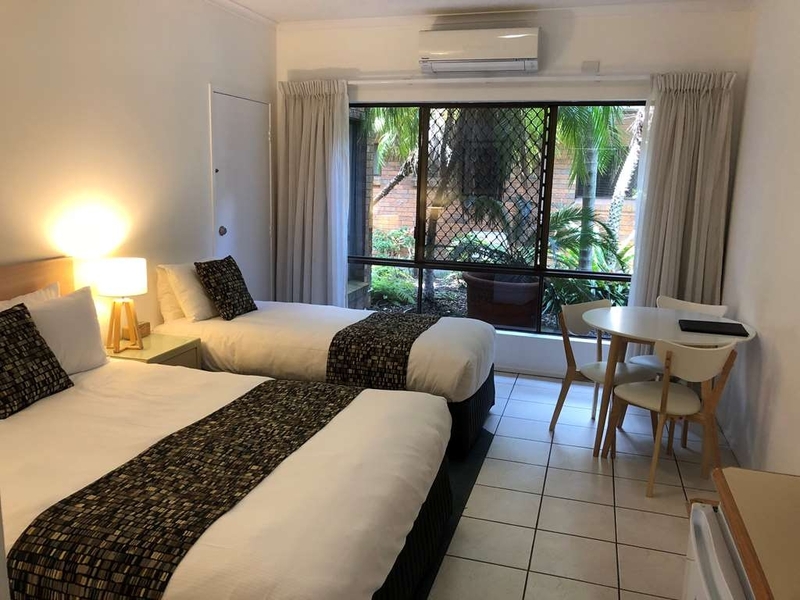 "The Team Bloody Long Ride"
After riding the full length of the Brisbane Valley Rail Trail we enjoyed a clean room, comfy bed, hot showers, great breakfast & very hospitable friendly service. Parking down the back for our van and trailer was easily accessible. We'll be back next year!! Thanks for the great review, Belinda. We look forward to welcoming you back next year. Wonderful motel! Received lovely customer service. Room was tidy, bathroom was clean and it was a very comfortable home away from home. I would definitely recommend this motel to any traveller to the town. Thank-you for your feedback, Hayley. It's good to know our efforts are appreciated. We hope to see you again when next you are in Ipswich. I spend a lot of time away from home and I found the friendly service by Evan and his staff to be both warm and welcoming. 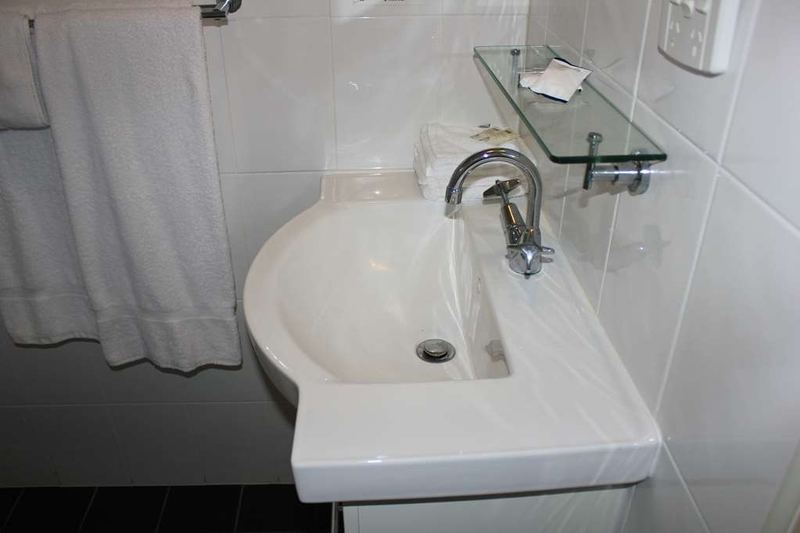 The rooms were clean with comfortable beds and the facilities were excellent. The restaurant provided a good selection of meals and the portions were ample. I have no hesitation in recommending this place as an ideal place to stay while travelling. Hi Brad Thanks for the great review. We look forward to welcoming you back soon. 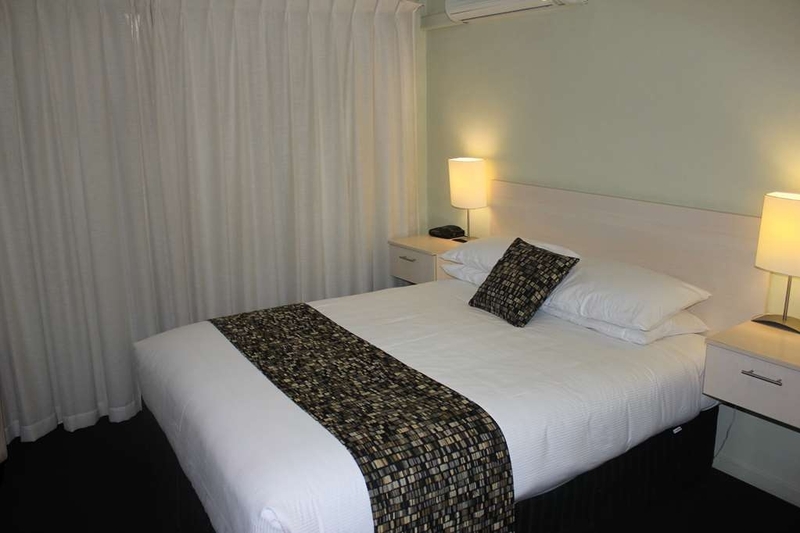 Spotlessly clean, decor has been updated, comfortable mattresses, good linen, friendly service. 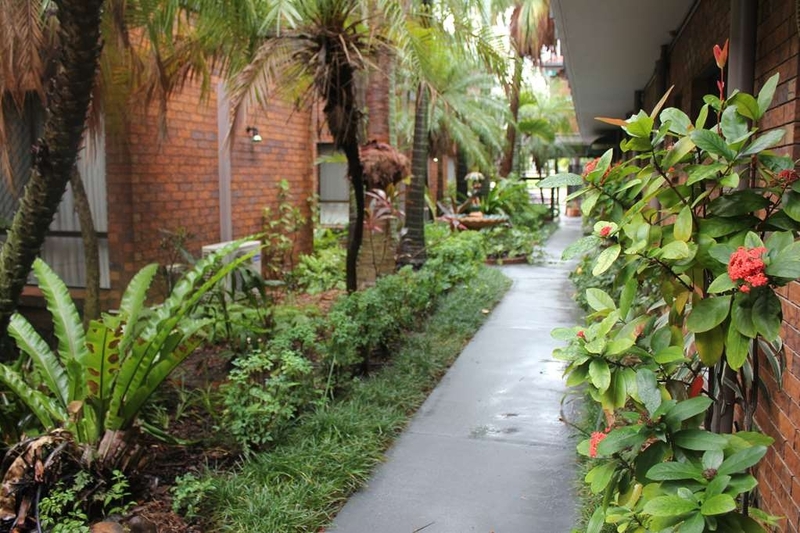 The layout of the motel is lovely with a central garden courtyard. Ample parking, some undercover. We had a triple room which consisted of a double and single bed. Warwick Road is a main road, but the motel has put in place some great sound proofing measures such that you wouldn't know. Handy to the CBD and Hospital. There is an organic market and cafe across the road. Dined in the restaurant, friendly and efficient service, meals are simple but tasty. Would definitely recommend this place to both corporate and private customers. Thanks, Rebecca. We hope to see you back again soon. "5 night stay to visit surrounds." 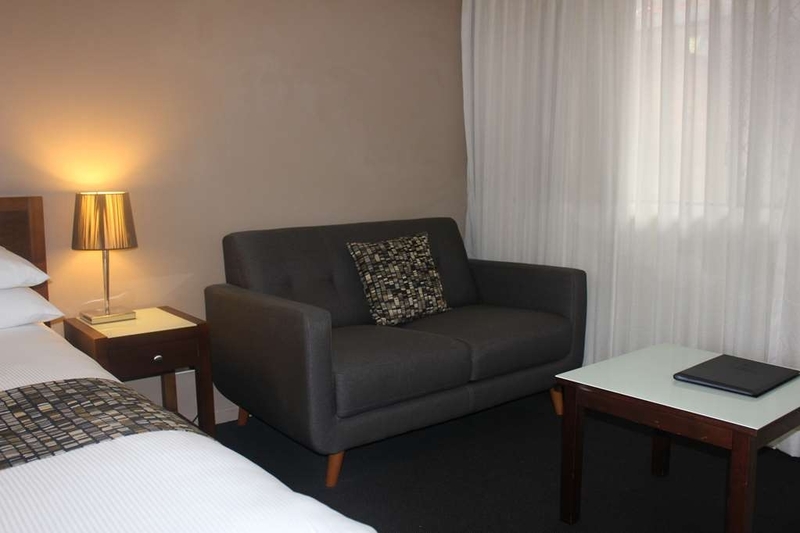 A pleasant and enjoyable stay with plenty of space in the room which had a kitchen and lounge all for $140 a night. Worth the star rating. Central to ipswich. Easy in and out access. Staff were very friendly and approachable. Room was clean and nothing was a bother. Hi Rickster01 Thank-you for the positive remarks. Let's hope we see you again soon. We wanted somewhere not too far from the CBD but quiet. The Best Western was a perfect choice. The room was very clean and well looked after. Bed was comfortable and we did not hear any traffic. The restaurant was not open for dinner as Sunday is the only night it is closed but they offer dinner and breakfast at reasonable prices on the other days. The manager was friendly and helpful. We will certainly stay here again next time we are in Ipswich. 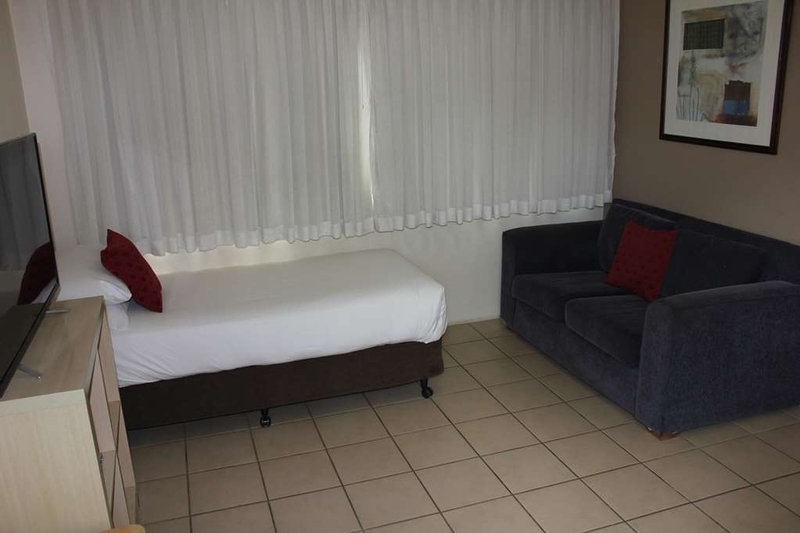 We stayed overnight while on a family visit and were impressed with the cleanliness of our room, the comfort of the mattress and the overall ambience of the room, although it wasn't large. The rooms are well sound proofed, there is practically no noise disturbance from next door. Plenty of parking space, nice bbq area for families if required and the restaurant was pleasant, although we were only there for breakfast. This establishment is definitely geared for families. 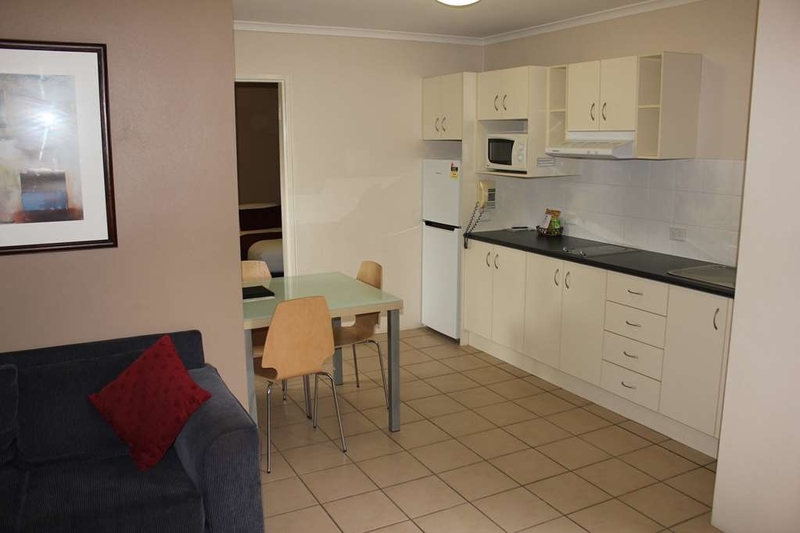 Situated close to the Hospital (within walking distance) but it's a little longer walk into the city centre. We would stay again. My wife and I stayed here recently. 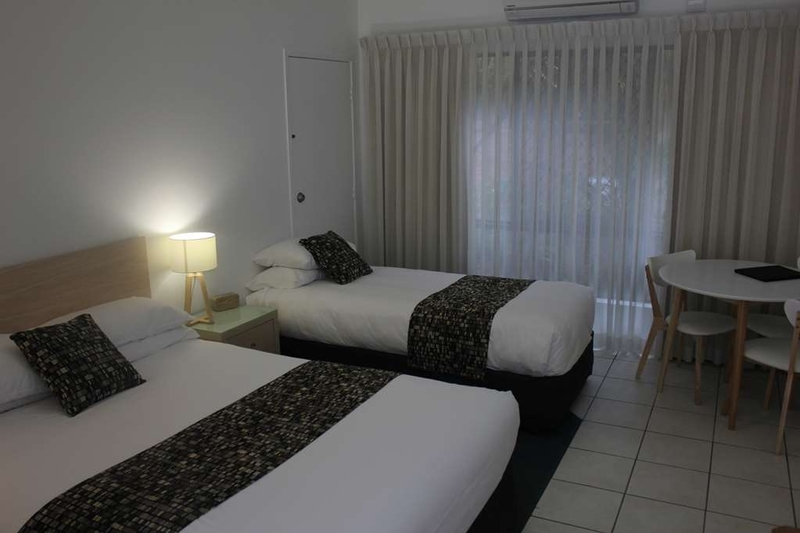 The motel is very clean and tidy and the rooms are very comfortable, Staff are very friendly and helpful. If you from out of town and have to visit the Ipswich or St Andrews the hospital it is the ideal location. 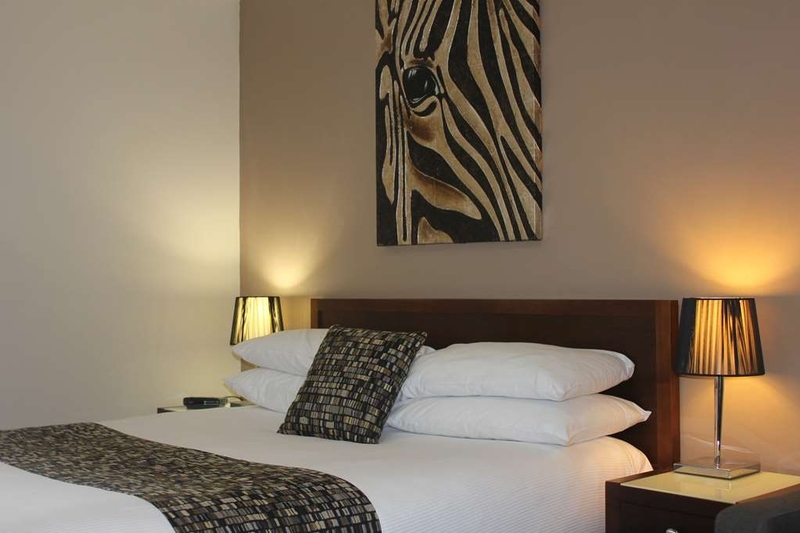 The rooms are immaculately clean and comfortable with good beds. Lovely dining room serving breakfast, lunch and dinner. I was running late checking out and the owners were amazing - so considerate and helpful. Highly recommended. "Amazing family 3 bedroom apartment"
Stayed over night to visit friends, with 3 couples it was fantastic to all share the one apartment, it was designed with a two bedroom 1 bathroom and a one bedroom unit with its own kitchen and bathroom, all very well appointed with everything you could need. 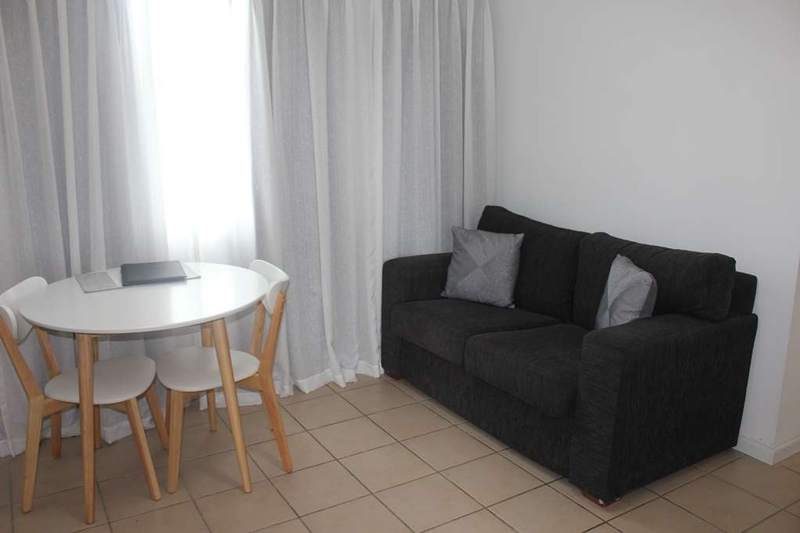 The bedding configuration was in the 2 bedroom 1 queen and the 2nd bedroom 2 singles, the interconnecting single apartment was 2 singles, this suited us well. The beds were very comfortable and the pillows were fantastic. The price was reasonable and the proximity to CBD was great. The staff were very friendly and I would highly recommend this motel, also free wifi was great too. "Nice Ownersi Though Don't Stay in the Standard Room Not a 4 Star"
Stayed overnight in a clean, modern room. Bed was very comfortable & room was warm even without the reverse cycle air conditioner turned on. Room was quiet & staff friendly & helpful. Location was a short drive from city centre. Will be staying here again when next in the area. "Pleasant motel in good location." For our overnight stay in Ipswich we found this friendly motel comfortable with all the facilities needed for self catering. 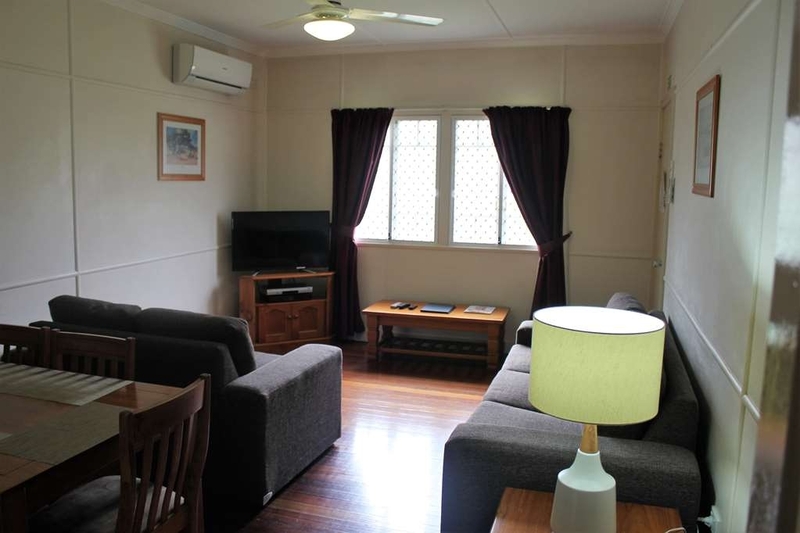 With a separate bedroom and well appointed kitchen / living area our needs were well met. 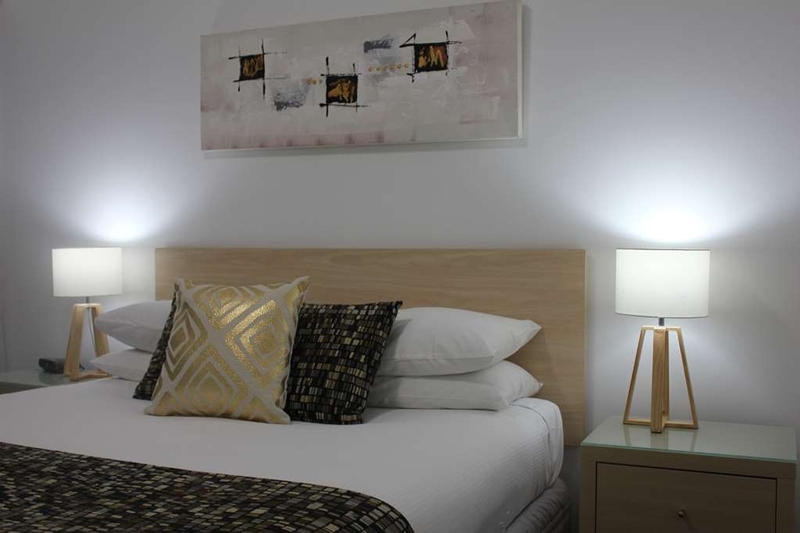 Located within close proximity to the CBD provides easy access to shoping, restaurants and services. Early access again appreciated allowing us time to get settled and go to a family gathering without rushing. 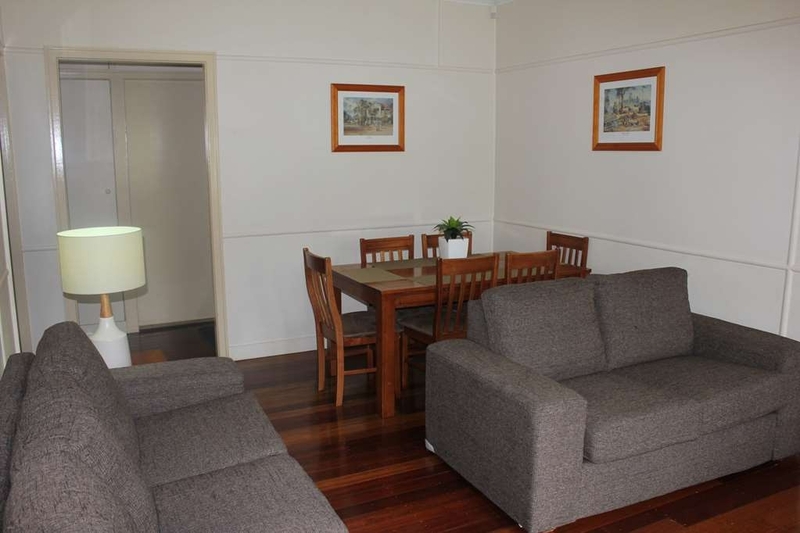 Reasonably priced, comfortable and well located. Spent two nights here for a business trip. Staff were friendly and the room was comfortable. Nothing flash, but everything worked and was clean and tidy. Cable TV, wireless internet, and air conditioning that was quiet enough to leave on at night. Very nice accommodation in Ipswich. Best motel bed I've slept in in a long while. We booked 2 double rooms to accommodate our family. We didn't get interconnecting rooms but this is an option. Very quiet rooms. Great place for an overnight stop. "The Hidden Gem - Relaxing Piano Bar"
I have not stayed in the motel recently, hence only 4 stars based on other reviews. But I was enchanted by the Piano Bar where the owner - a truly professional musician made our diner an unforgettable event. Standard piano pieces that every baby boomer will enjoy. 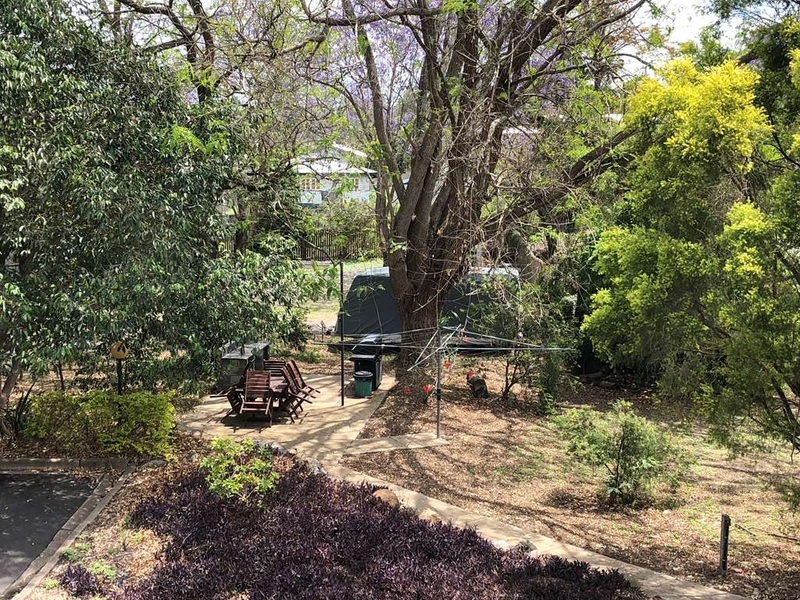 Good old style quality recital unmatched in Brisbane area. "Unfogettable" "As TIme Goes By". Its a pitty you cannot smoke in the bar anymore but "Smoke Gets in Your Eyes" compensates for it. Great service, nice people. So after a long long day in the car, found this lovely property and really had a good stay. Although we were only here one night it was very relaxing. The room we had was on the main floor and looked into a beautiful tropical courtyard. We had a small suite which was very nice, separate bedroom and nice big kitchen living area. So this is good if you travel with kids (we don't) but enjoyed the space. 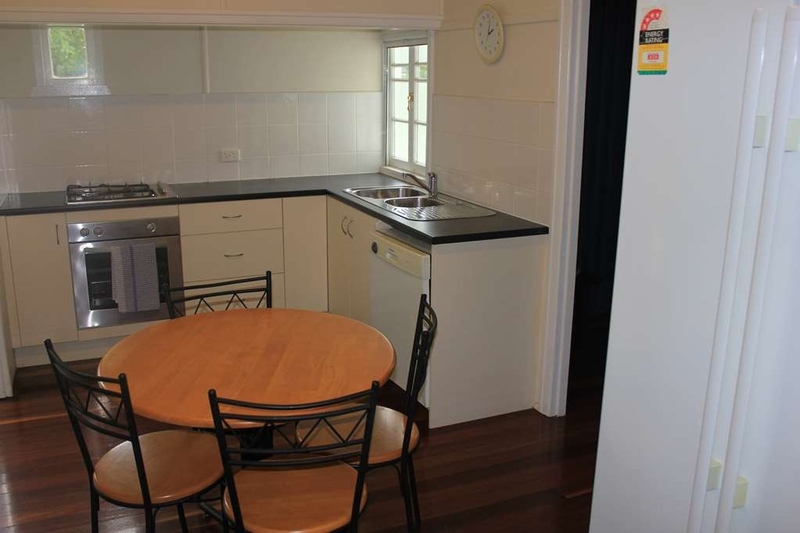 the suite has af ull size fridge, and a cooktop in the kitchen as wellas a proper table for meals. Also equipped with a small desk for computer also free wifi. Very clean and comfy. Really enjoyed the grounds with all the lovely plants, Such a nice surprise for a Motel on a main road. Best surprise is the store across the street that serves up homemade chinese food, made by the owner and her husband. Not a large selction but at least 5 or 6 items. So supper for two is $14 which is a great deal. Also an organic market next door to the store. "Beds very comfortable, good nights sleep"
Rang, booked in and arrived 15 minutes later and booked in. We were tired as had been driving all the previous night. Fell into bed and slept for a couple of hours. Although we had to walk up flight of stairs to room, this was all good as it was not raining. Bit of a struggle to carry up bags though. Shower was a let down, could not get the water to be correct, it kept changing between hot and cold which was so annoying as I was washing my hair. Restaurant on site, but quite pricey so did not use and drove to town and had a great bistro meal at the RSL. We stayed here when we came to the lure expo. Handy place if your doing something at the show grounds as its only a 5 minute walk. The staff are friendly and the little restaurant do a great feed. Will be back next year. Stayed with my brother from interstate for one night in a twin. Comfortable enough motel with the basics that make a short stay palatable. Okay for one or two nights; bed comfortable but when will motels/hotels realize that some people like firm pillows, not these super soft ones that seem so prevalent? 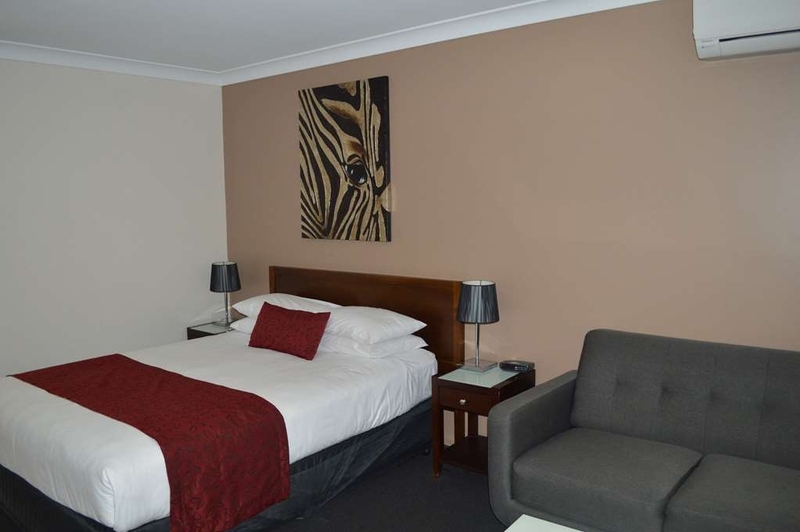 This hotel is located a short distance from the centre of ipswich and has always had adequate car parking. We have stayed in this hotel a number of times, changing from the upstairs single room to the apartment rooms on the lower floor. This year we stayed in an apartment room and were met by the usually well prepared room. There is some road noise but definitely nothing to complain about or cause us to look else where. Staying 2 nights, the complimentary milk, tea and coffee were refilled. We will definitely stay again next year. Stayed here last week for 2 nights whilst my husband was working in Ipswich. It was the only room available as the V8 touring car event was on in Willowbank. The price was crazy expensive $485 for 2 nights due to demand. We had room 25 which was on the corner and it faced the intersection on busy Warwick road. Way too noisy. Not much sleep was had due to the hoons of Ipswich. The tv was not working but the manager quickly replaced it for us. Thanks. The photos online made it look better than it really is. Would not stay here again mainly due to the noise factor. Stayed over night for business. Room was nice and modern for my liking. Great friendly staff. OK the 2 best things. 1- excellent meal down in the restaurant 2- best sleep in weeks on the super soft bed. Room was very nice and very clean. Room service was a nice touch after a long, long day. Even though there were a lot of guests the room was very quiet. The bathroom was not huge but big enough for a one night stay. Owners were by friendly. Recently stayed at this motel for a few nights in a single upstairs room. The room was well appointed and very clean and tidy. The bed was very comfortable and the room had tea and coffee making facilities. Plenty of parking is also available. Breakfast was enjoyable with both a continental or fully cooked breakfast available. There is free wifi in the rooms but it was a little tedious having to log on every time you used it. The owner/manager and his wife are real people persons and want to assist in your stay wherever possible. We arrived back late one night and they were only too happy to keep the bar open for us. The trundle beds are very hard though. Not much else on the down side so would recommend this as a place to stay. Estas opiniones son las opiniones subjetivas de viajeros individuales y no de TripAdvisor LLC ni de ninguno de sus socios comerciales. Wherever Life Takes You, Best Western Is There®. Cada hotel Best Western® está gestionado y dirigido de manera independiente, siendo sus propietarios igualmente independientes.